Today, the average American millennial is living under a cloud of debt. 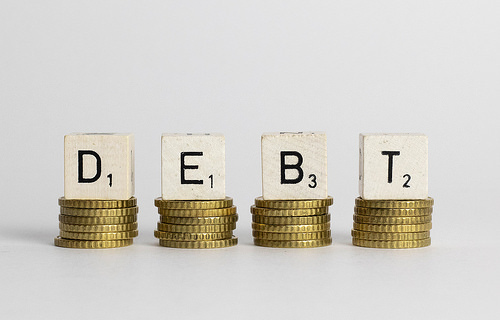 A study shows that Americans ages 35 to 44 are carrying about $133,100 in personal debt, according to a Federal Reserve’s Survey of Consumer Finances report. This stat reminds us about the importance of budgeting. Adopting good budgeting practices will not only help you get out of debt but also enable you to lead a life free of stress. Explore the following reasons why having a good budget plan can help you to reduce debt. Without a proper budget plan in place, you can’t track whether you have a debt problem since you won’t have an idea whether your spending exceeds your income. Are you spending 10 or 30% more on your needs such as food, entertainment, or gas? Maintaining a proper budgeting plan, such as writing down every penny you spend, will reveal a path to curtail expenses. You don’t need to take notes in a notebook literally. These days, various free apps can do the same job in a simpler manner. Having a proper budgeting plan in place also helps you create an emergency fund. You must contribute at least 5 to 10% of your net monthly income so that you have an emergency reserve built up in case you become hospitalized, your house needs repairs, or you lose your job. Creating an emergency fund also helps you control debt by putting the brakes on dipping into your savings each time. A budgeting plan goes a long way toward prioritizing your spending. With a budget, you can focus on the areas of life that matter to you, such as buying a house, getting married, setting up a college fund for your child, or taking that long-awaited vacation on your bucket list. Your budget creates a plan and makes you stick to it so that you can continue to reach your goals and not continually borrow money. If you stick to your budget plan, you should have all the correct information in place when you file your taxes. This practice can help you make sure you don’t omit anything by oversight. While an increase in income reported on your taxes could increase your likelihood of being selected for an audit, correspondence audits can be handled with other smart ways to handle IRS audits. Referring to your budget can help you sort out IRS tax matters. When you learn to curtail overspending and effectively manage your finances with a proper budgeting plan, you can position yourself on the path to increasing wealth. Budgeting helps you reach your financial goals in a smart and steady manner, which can lead to wealth creation over time. Getting out of debt can be easier if you take it one step at a time. If you find yourself struggling with tax issues, seek some professional advice so that you can achieve a better outcome. Life is stressful as it is; don’t add debt woes to the list. Start by budgeting today.